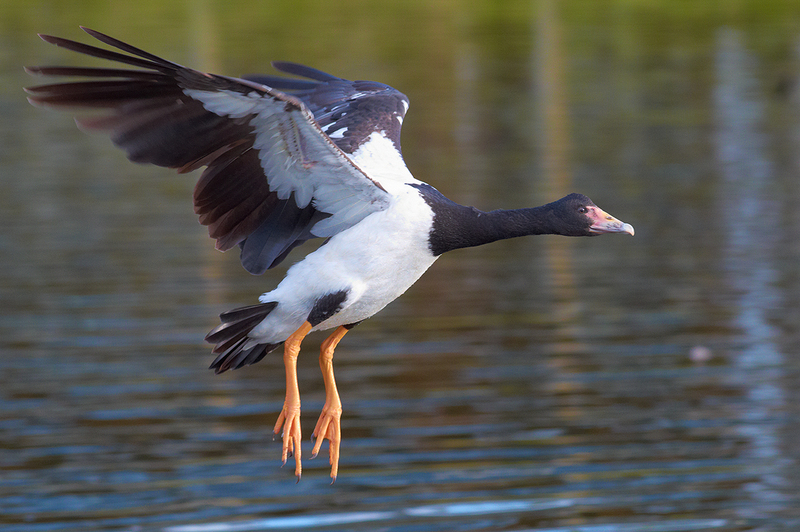 The Hunter Wetlands Centre Australia provides important habitat for a rare species in NSW, the Magpie Goose. The Magpie Goose is distributed across northern Australia including western NSW, southern and western Victoria and south-east South Australia. The species is a vagrant to south-west Australia and Tasmania, New Guinea and regularly crosses Torres Strait. In NSW, small numbers of the Magpie Geese have returned to north-east NSW, after a decline that was most likely due to swamp drainage and hunting. Although abundant in the Northern regions of Australia, Magpie Geese are less common in the south. Unfortunately, due to habitat loss and hunting Magpie geese became local extinct in the Hunter. In 1987, the Hunter Wetlands Centre initiated a re-introduction program of the Magpie Goose with 41 juvenile geese from Serendip Wildlife Research Station. In 1988, a further 41 juvenile Magpie Geese were obtained from Serendip Wildlife Research Station, 44 in 1988, and 5 one-day-old goslings from the Conservation Commission of the Northern Territory in May 1990. 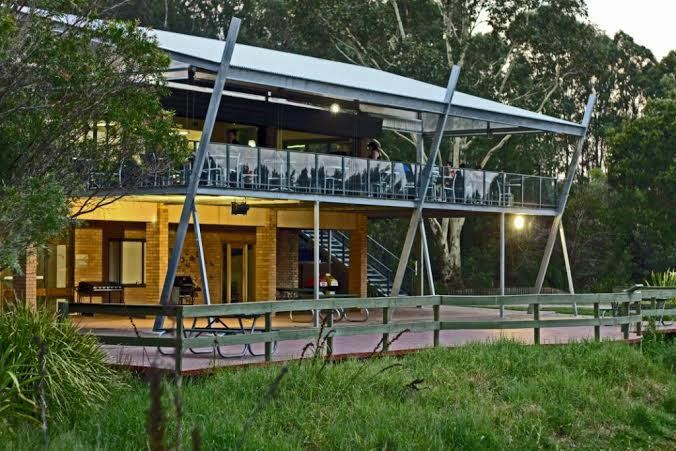 The Magpie Geese bred in the wild at the Hunter Wetlands Centre for the first time in 1992, which is one of only two known records in the Hunter Valley (the other at Seaham Nature Reserve). Magpie Geese can be observed on a daily basis foraging and/or roosting with BHP Billiton Pond, adjacent to the visitors centre. They call Gilligan’s Island, in the centre of BHP Billiton Pond, their home. Each year new juveniles can be seen at HWCA amoung the adult flock, which is an indicator of the success of this re-release program.